Updated Wednesday July 13, 2016 by Suzanne Dumas. Make sure your address, phone number and email is current. Especially your email address. This is the primary way we communicate with you. 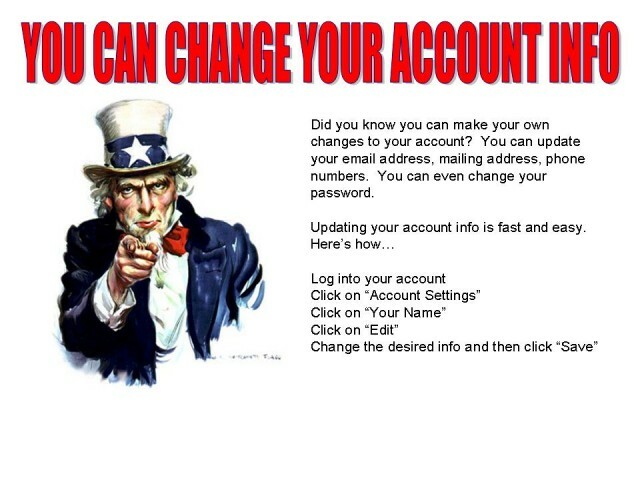 DO NOT create another account if you already have one. If you have forgotten your password or log in info contact Suzanne Dumas at registrar@sunrisebaseball.com. Click on the name of the person you are editing.